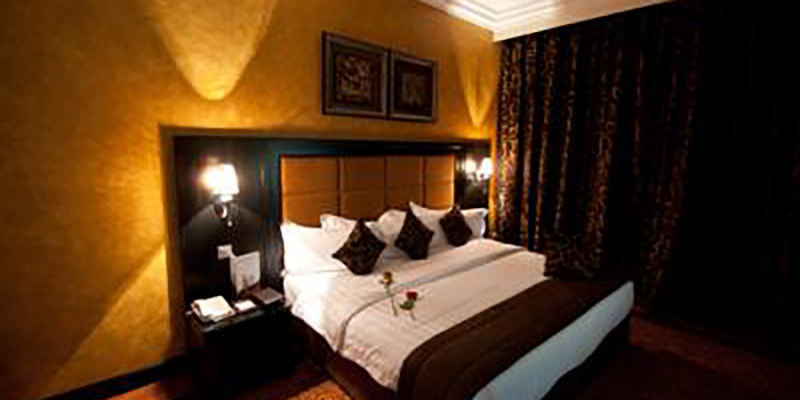 The prestigious Royal Grand Suite Hotel Apartments is a Deluxe Luxury Category Hotel Apartments located in the Al Etihad Street, Sheikh Mohammed bin Zayed road, Emirate of Sharjah, Al Nahda and is also close to the beautiful Dubai and Sharjah attractions anticipated to be a select-service lodging facilities containing 136 rentable units. The Royal Restaurant located at the 6th floor of the Royal Grand Suite Hotel, serves an array of international dishes round the clock. Located within the lobby of Royal Grand Suite Hotel, the Royal Café offers a sleek, upscale take on the traditional Arabic setting with Executive Chef Hamdi Wagrouti spanning a variety of culinary styles.